Spend a late afternoon in paradise with these extraordinary pink flamingos. 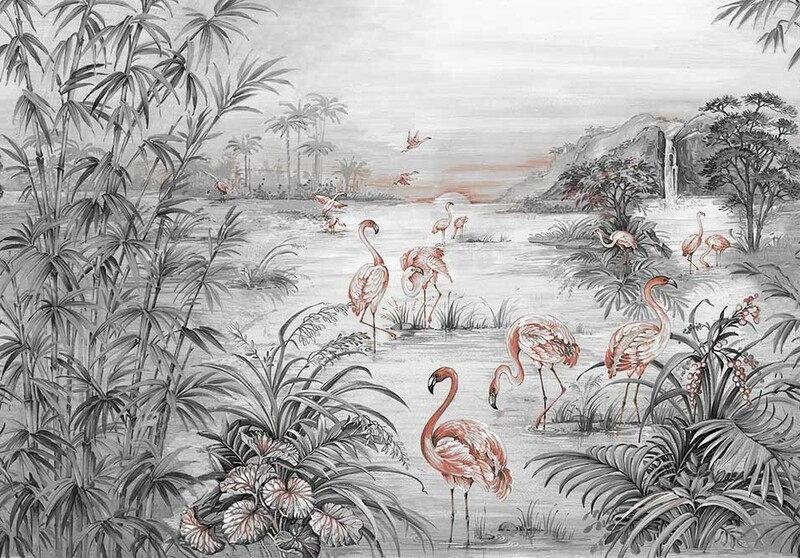 A wall mural that will turn heads and instil a sense of calm and peace in the home, the grey Flamingo Chinoiserie Wallpaper Mural features motifs of vegetation, water, pink flamingos and the beautiful sunset. 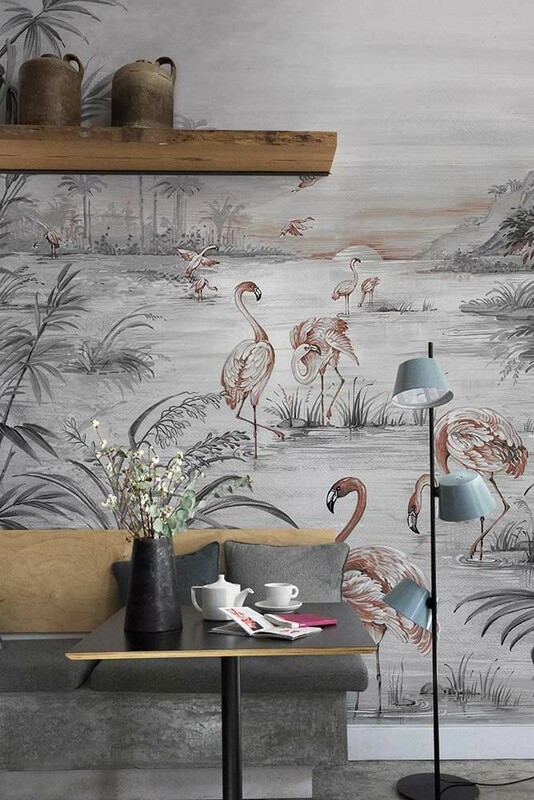 An incredibly beautiful digital print wallpaper mural, the Flamingo mural measures 2.8m in height x 4m in width and is printed onto non-woven back paper. Please note, this wall mural has a 2-3 week delivery time. But, the reason why we think that you will particularly love this Chinoiserie wallpaper is because of the sense of tradition, history and elegance it will bring into your home. Traditional style wallpapers like this Flamingo Wallpaper will help to inject a timeless quality into your interior design.